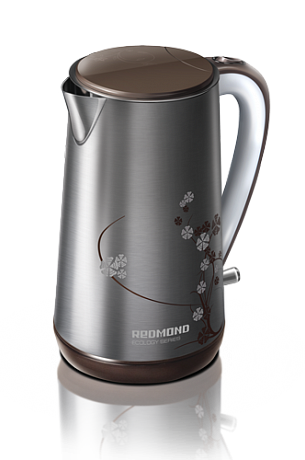 The electric kettle REDMOND RK-M142E is a stylish innovation made of double-layer stainless steel, which will keep water hot twice as long! The kettle M142E is an example of progressive development: the OTTER® Group and 2-way automatic shut-off upon boiling and removing from base guarantee safety and absolute security. 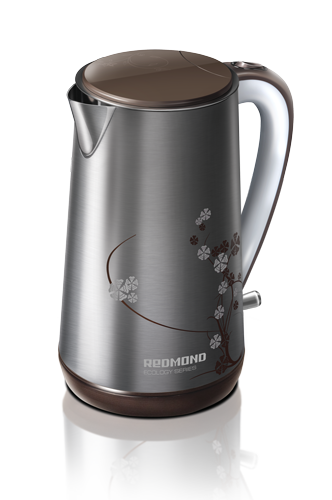 Removable anti-scale filter and stainless steel housing make the kettle convenient and functional device. The M142E is complemented by the disk heating element and 360° rotating base. The outer surface of the kettle is not heated that prevents you from accidental burns. You will remain satisfied!